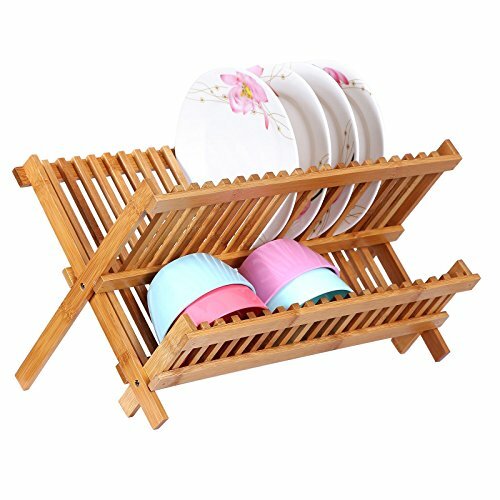 I have had this folding dish rack drying rack for about 16 years. I have to say that I'm really surprised at how well it's held up. I think my husband put one nail back in during that time. I love that you can fold it and put it away after your dishes have dried. Although somehow mine ALWAYS has dishes drying on it! lol It's a good dish drying rack though. My mother has a rack exactly like this since 2001.